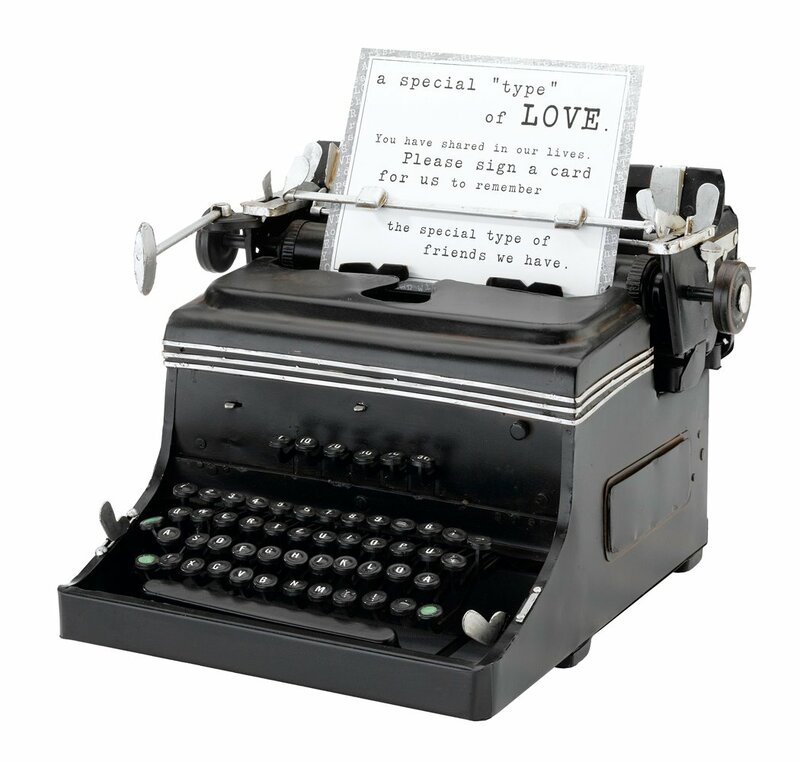 This mini typewriter replica is a great visual element for the reception. Place it where guests are filling out cards with their wedding wishes and advice for the new couple to spark creativity. It measures 10 inches x 9.75 inches x 6.5 inches. A great alternative to the traditional guest book.